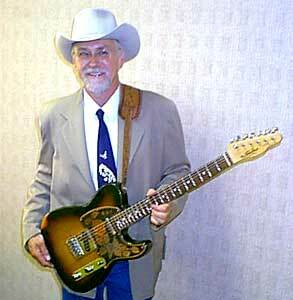 RAY DOYLE, was born and raised in Dublin, Ireland and these days he is a stalwart of the California country music scene. Ray is the bandleader and musical anchor for Wylie & the Wild West Show. He is pictured left with his Tomkins guitar, backstage at the Grand Ole Opry. ...a track from his solo album Reach For The Sky. Mike Fried plays steel on the track and also produced the album.